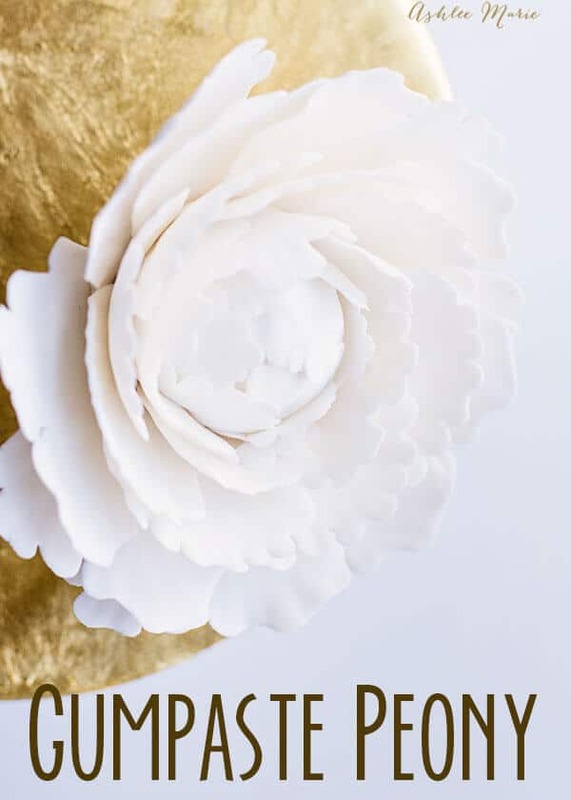 So I figured it was about time I finally followed up on my promise to bring you a gumpaste Peony tutorial! 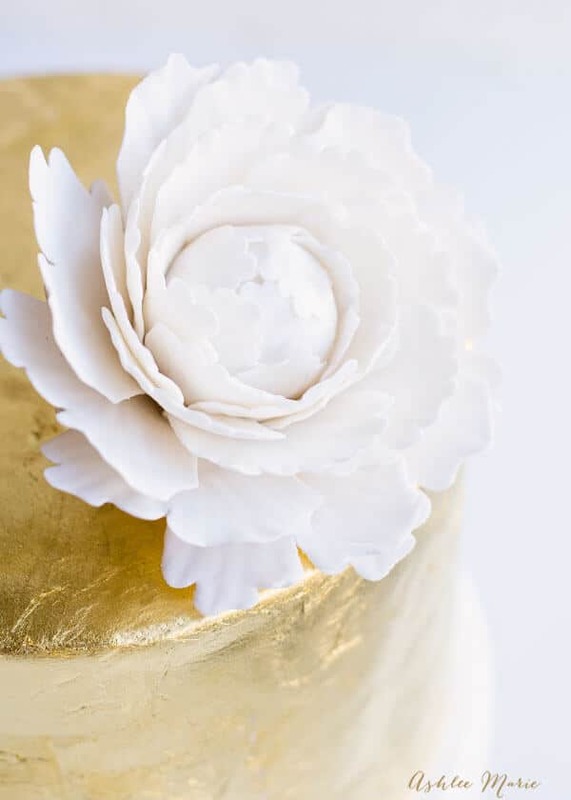 AND since I’ve started my youtube channel since the LAST flower tutorial (Ranunculus tutorial from this Edible Sequined cake!) I figured a VIDEO tutorial would be best! If there is enough interest I’ll redo the other gumpaste flower tutorials in video form. So as you can see it’s a lot of repeating the same steps just with larger petals each time! If your in a hurry you can add each row after just 4 hours of wait time, BUT I will add that it will be easier to HANDLE the flowers and petals with more like 8 hours in between. I made this white one today with only waiting 30 minutes in between and while I wouldn’t recommend it for a beginner it worked out just fine! It’s an easy flower, and while I don’t PERSONALLY like the taste of gumpaste (or fondant with gum tex) they ARE edible and the kids LOVE eating them! It’s always battle with kids over who get’s the flowers! 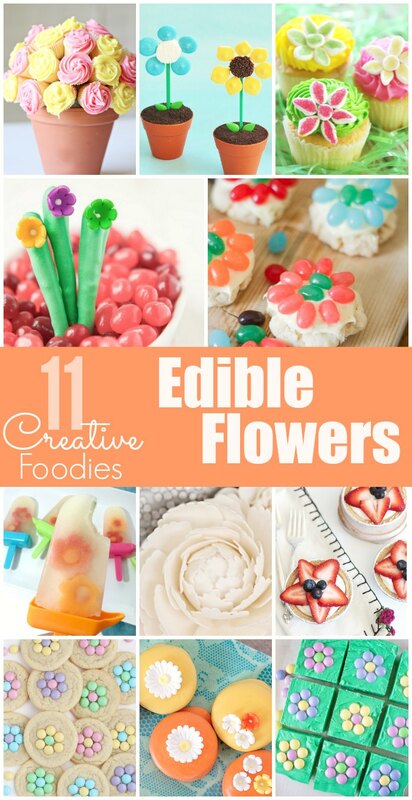 Today is a fun treat, 10 other insanely creative bloggers and I are sharing 11 edible flowers, all perfect to get spring off to a delicious start at your house! Loved your tutorial.It was simpl and well explained. Could you show us a open rose and orchid tutorial please. Ashley, which veiner did you use for this flower? I love it! thank you, and great suggestion! love it..very simple to understand.. and not too long with the boring explanation. In ranunculus tutorial, I saw another flower there but not sure what it’s called. I love to see all the flowers tutorial that you made..
sounds good! and thank you! you never know if your giving too much or too little, glad you enjoyed it! I have never found tutorials online of people making Dahlias. Would that be possible? I am in Middle School and need to finish a three tiered summer flower cake for an end of the year party. Love it,. 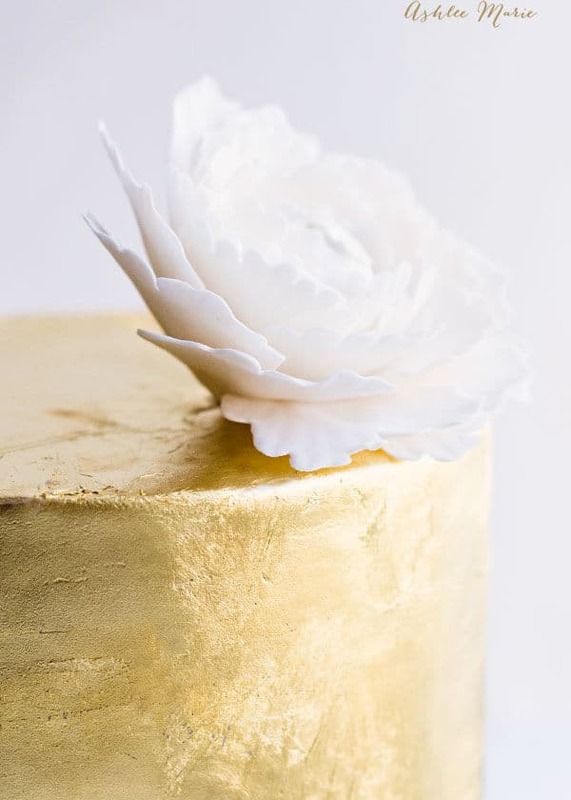 Where can I see how to do a gold in a cake?